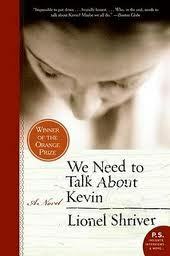 Lionel Shriver’s novels include the New York Times bestseller The Post-Birthday World and the international bestseller We Need to Talk About Kevin, which won the 2005 Orange Prize and has now sold over a million copies worldwide. Earlier books include Double Fault, A Perfectly Good Family, and Checker and the Derailleurs. Her novels have been translated into twenty-five languages. Her journalism has appeared in the Guardian, the New York Times, the Wall Street Journal, and many other publications. She lives in London and Brooklyn, New York. The gripping international bestseller about motherhood gone awry. Children live in the same world we do. To kid ourselves that we can shelter them from it isn’t just naive it’s a vanity. Though surely to avoid attachments for fear of loss is to avoid life. It’s far less important to me to be liked these days than to be understood.